Interesting in becoming an Educator with Coastwide Family Day Care? 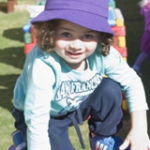 Coastwide Family Day Care Educators are highly trained, experienced and nurturing Educators who provide education and care for children aged 6 weeks to 13 years in their home based child care service. Educators without early childhood qualifications, who are committed to actively working towards their Certificate III and who demonstrate capacity and dedication, will be considered. Information sessions are held regularly. Please contact the Coordination Unit for more details. Coastwide Family Day Care is actively recruiting Educators across the Central Coast, Hunter New England, North Coast and Western NSW to meet the growing demand for Family Day Care.